← Is A Donald Trump Presidency A Sign Of An Impending US Bankruptcy? There is no other way out for the bankrupt U.S. Corporation except an “Orderly Default”? MUST READ: Is A Donald Trump Presidency The Sign Of An Impending US Bankruptcy? Also a MUST READ: ZIRP, NIRP, QE, Bank Collapse and Helicopters Coming Too Late – The Lehman Effect Hits Europe – Hard! Now that Trump has also secured the endorsements of Sheldon Adelson (Gambling Magnate of the World) and Carl Icahn (Corporate Raider without peer), as well as the likes of Chris Christie and Rick Scott, Rudy Giuliani and Michael Flynn, Mitch McConnell and Rand Paul, clearly something quite momentous is occurring under the radar. All of those names are very significant. Each one provides a HUGE endorsement for The Donald. More importantly, every individual represents a very important piece of the 1% electorate. Hence, something extremely critical has taken place behind the political scenes which is reflecting a sea change toward The Donald. That something is the growing acceptance that he is an established bankruptcy expert par excellence … .. … and what America needs desperately is an orderly default… and fast! Trump has done this before and can do the bankruptcy routine blindfolded, handcuffed while straightjacketed. Yes, he is the Houdini of bankruptcies and quite world famous for them. Who else has become richer with each successive business bankruptcy than Trump?! The Donald has been practicing for this gig his whole professional life. And, “YES”, he knows it. In fact it is the only way possible for him to stand by his campaign promise to : “Make America Great Again”. There is really no other way! There you have it—the scoop of the millennium. 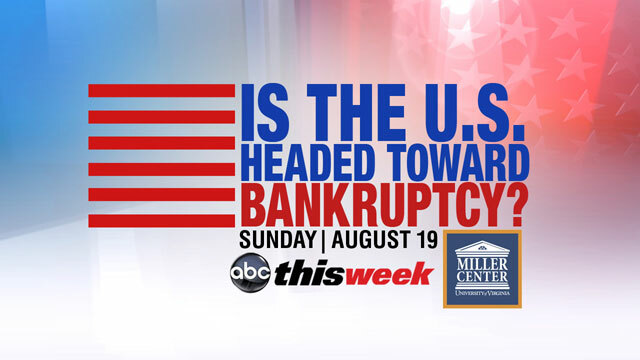 Yes, this whole preplanned bankruptcy thing is a major controlled demolition in the works … exactly like 2008. Here’s what that really looked like but never appeared in the MSM. Here is another reality check on 2007, 2008 and beyond that you will not read anywhere else—Why? Because it’s too brutally honest. For those folks who followed the Shemitah happenings of 2015, 2016 has been identified as the Super Shemitah. It simply does not get any bigger than the Super Shemitah, especially where it concerns the predicted economic Armageddon which inevitably occurs after the financial Apocalypse. And there is no stopping it because we have hit mathematical certainty across all the markets —stocks and bonds, currencies and commodities, real estate and insurance, derivatives and carbon. It’s crucial to note when discussing the U.S. national debt to understand that the total amount of indebtedness has absolutely nothing to do with the American people. We the People did not sign for that outrageous debt, nor are we obligated to pay it back. It is the bankster’s debt and theirs alone to pay back. They incurred it for their own self-serving reasons and will be forced to bear the consequences of the default, be it orderly or disorganized. Hence, if and when The Donald takes the nation through a formal bankruptcy, he knows that it is the U.S. Corporation that is forever going bankrupt, not the American Republic.